How to convert XML to JSON in batch? 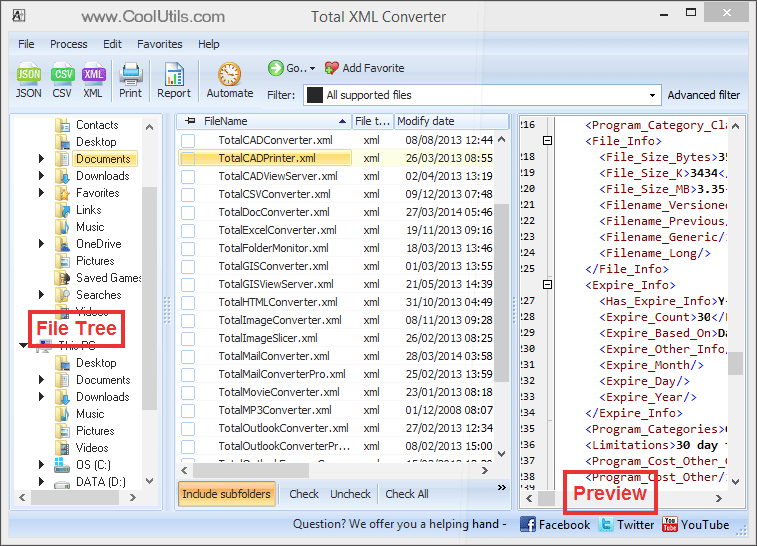 You are here: CoolUtils > Total XML Converter > How to convert XML to JSON in batch? Win 2000/NT/XP/2003/Vista/7/8 Although spreadsheets are good at organizing information it's often difficult trying to export information from the sheet into a different format. Using our Total XML Converter it's easier than ever to convert XML to JSON with the help of our easy-to-use GUI. By choosing to convert your XML to JSON in batch, the converter will process all of your large jobs while you work elsewhere. 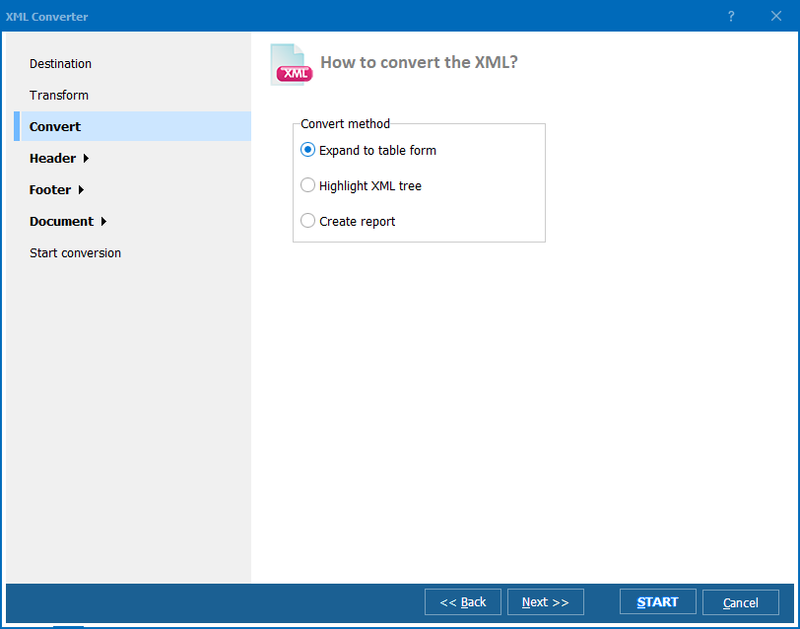 What makes the Total XML Converter so special? For starters, our XML JSON Converter has a unique option: it can maintain all of your files original timestamps! The new files will have dates identical to the source files. Our converter also generates .bat files. This allows you to save project settings for conversion later on through direct command line access. 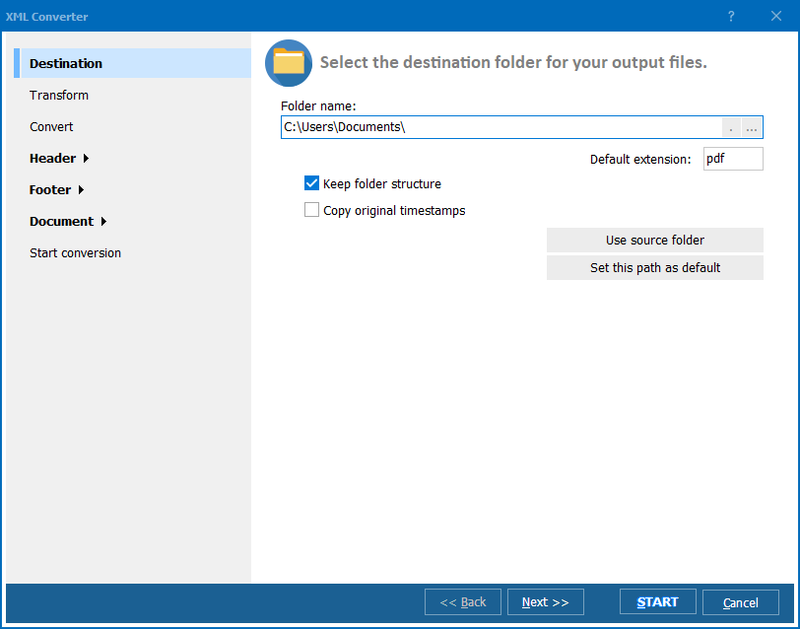 Download the XML Converter today and enhance the utility and portability of all your XML files by converting them to any format you need. With your $39.90 purchase of the Total XML Converter, you'll receive a lifetime license that features free upgrades for the first year! Not only that, but you'll also have access to our brilliant tech support crew; available to help you via email, phone, Facebook and Twitter. Are there other converters out there? Sure. Do they even come close to the same level of customization, optimization, and user-friendly utility that we pride ourselves in providing our users? We don't think so. 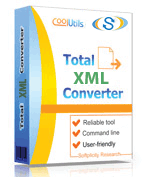 Still not sure if the Total XML Converter is the right tool for your next job? Take a moment to download our 30-day free trial and discover firsthand the difference our converter can make. Saved files will contain a watermark during the trial period, but you'll be able to explore the ins and outs of what makes our apps great! Make sure to check out some of the conversion solutions we offer: XML to CSV, DOC, HTML, JPEG, TIFF, and more. With an interface that supports English, Spanish, German, French, Russian, Dutch, Swedish, Italian, Portuguese, Czech, Japanese, Chinese, and Korean speakers, everyone is welcome!